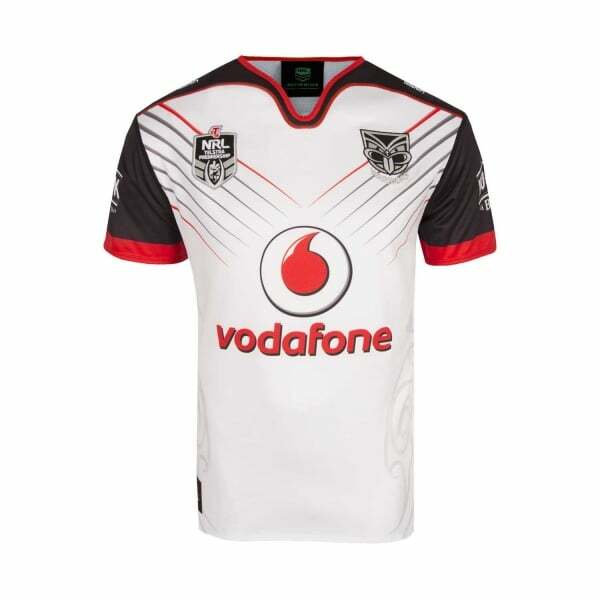 Built with 100% Polyester pro-jersey knit, this contemporary fit Replica Away Jersey offers superior comfort while replicating the Vodafone Warriors own on-field 2018 design. If you’re a dedicated Vodafone Warriors fan, the best way to show the flag is with your very own team jersey. And Canterbury’s Replica Away Jersey is the real deal. Built from 100% Polyester pro-jersey knit 245gsm, this is a supremely comfortable jersey to wear. The embroidered team and sponsor logos on the chest and NRL locker tag on the hem make it abundantly clear where your loyalties lie. The Vodafone Warriors Home Koru Design, symbolising strength, protection, growth and teamwork, caps off what is nothing short of a unique collector’s item and every Warriors fan deserves one of these in their wardrobe.